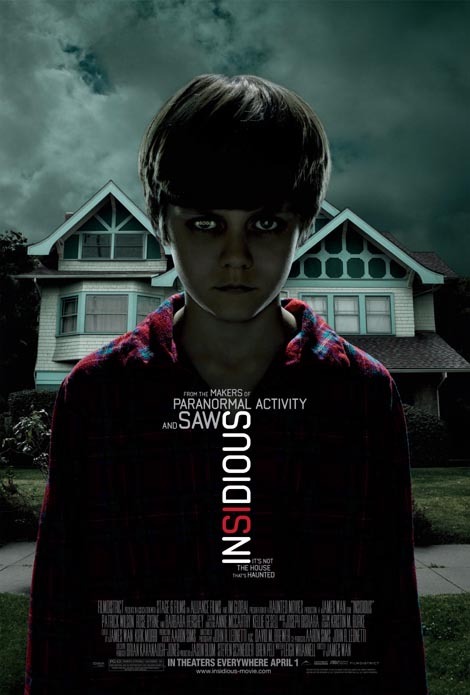 The Rockport Film Review: "Insidious" is the Best Scary Movie of 2011! Insidious is the new horror movie from James Wan and Leigh Whannell who brought us the original “Saw” movie and the 2007 movie “Dead Silence” which was also reviewed on this blog. 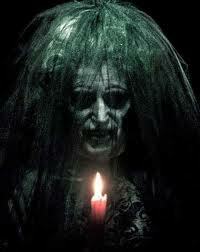 Insidious is the best scary movie of 2011 so far. It is not gory and bloody like “Saw” but returns to the basics how to really scare you in a deep and authentic way, without resorting to cheap violence. Insidious is a story that crosses two popular horror sub-genres; the haunted house and demonic possession. With this film director, James Wan has created some of the creepiest and nightmare inducing images to be seen in a long time. Along with the musical score by Joseph Bishara (who also acts as the main villain) they have created a truly frightening film. The Lambert family has just moved into your typical dark and foreboding new house. The doors creak, the attic is cold and dark, and things just don’t feel right as the family of five starts settling in. When Dalton, the younger of the two boys, has a mishap while exploring the attic he seems fine but doesn’t wake up the next morning. After a trip to the emergency room, he checks out to be perfectly healthy but in a sort of coma. Over the next few days the mother, played by Rose Byrne, is freaked out by the strange things going on inside the house (think “Poltergeist”). When she is attacked by a ghost, she begs her husband Josh (Patrick Wilson) to move. They do, to a smaller and happier looking place. But the ghosts and spirits seem to have followed them. They have a paranormal team investigate and find out that “The house is not haunted, it’s your son”. This plot twist and how the rest of the movie unfolds has alienated some viewers, but if you’ve come this far, you might as well strap in and enjoy the ride. Dalton is stuck in an otherworldly dimension called the “further”, a sort of purgatory for demons and lost souls. Lin Shaye plays Elise a paranormal medium who seeks to bring back Dalton to his earthly body before it is taken over. The premise is no doubt out there, but the filmmakers know this and really go for it. There are not cheap scares in this movie, no cats jumping out of the dark, no flocks of birds hiding in the shadows. They’ve created a roster of truly frightening baddies in the Old Woman, the Lipstick-Face demon, and the Doll Face girls. What’s more amazing is that this film was made for only one and a half million dollars and grossed over 58 million in theaters. The movie was also produced by the “Paranormal Activity” people, but “Insidious” actually delivers on the scares. So see it today!